There’s a movement growing across the spectrum among those who give to nonprofits. It’s a movement toward engaged giving, toward actively seeking an impact. It’s a movement of intentional givers. Intentional giving is purposeful, personalized giving. It means actively making choices about impact. Fifteen years ago on Stewardship Sunday at the Church of the Nativity, Brian Rogers of Baltimore, MD made the life-changing commitment to become an intentional giver. After he sold his business, Rogers started the 4K Foundation—a nod to his four daughters whose names all begin with K—and began supporting organizations like Lifewater. Research showed Rogers that people want to feel a connection with the organization they are giving to, and that millennials are more open to giving than past generations. Though not bound by generation, intentional giving is being driven in large part by the philanthropic preferences of millennials. Sometimes called the “impact” generation, millennials are characteristically unhappy with the status quo, and thanks to an ever-mobile world, they’re constantly connected, sharing, signing petitions, and looking for ways solve global problems. 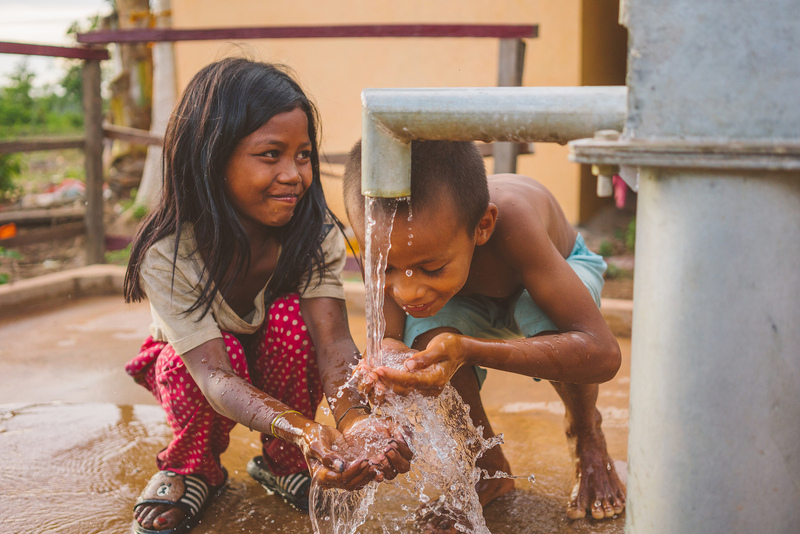 Children in Svay Leu, Cambodia drink clean water from their safe well. According to a study conducted by the 2015 Case Foundation Millennial Impact Report, “84 percent of millennial employees gave to charity and 70 percent of them donated more than an hour to a charitable cause” in the year 2014. Research shows that people are less and less likely to want to give to a pool of general funds, and that they want to give in more ways than one. Intentional giving is a purposeful way to give: it’s prioritizing nonprofit causes, social betterment, and actively seeking the best ways to address systemic problems. Below are three ways to become an intentional giver. Giving to a nonprofit that identifies with your set of values makes all the difference. When you can give your time, money, and social influence to a cause that is close to your heart, you experience a greater connection to the cause. You genuinely celebrate with their achievements. Consider which problems you want to solve in the world. Is it alleviating poverty? Education for girls? Faith-based or not? Perhaps it’s reforming the criminal justice system or helping domestic violence survivors. There are so many nonprofits out there fighting for the causes you believe in. Determine where you’re going to put your investment, and watch your impact come to life. In When Helping Hurts: How to Alleviate Poverty without Hurting the Poor… and Yourself, Steve Corbett and Brian Fikkert articulate the problematic aspects of poverty alleviation efforts in the past, present, and what can be done to do better in the future. All over the world, donated equipment is rusting away in fields—some having never been used at all, and homes have been built in developing countries that people do not live in. Despite billions of dollars in Western aid, 10.9% of the world is still living on less than $2 a day. Put simply, giving well requires giving with the long-term impact in mind. When giving to a charitable cause, consider how your resources are being used, and how/if they will improve the lives of the next generation. Ask yourself, am I giving to something that will last? How do I know if my gift is making a difference? The goal of every gift should be to minimize harm and maxime long-term impact. To be an intentional giver, take the time to learn about an organization’s practices. Researching the charity organization will give you a better idea about directly where your giving is going and how it will impact its recipients. By doing this, your hold them accountable, and you make an intentional giving choice. 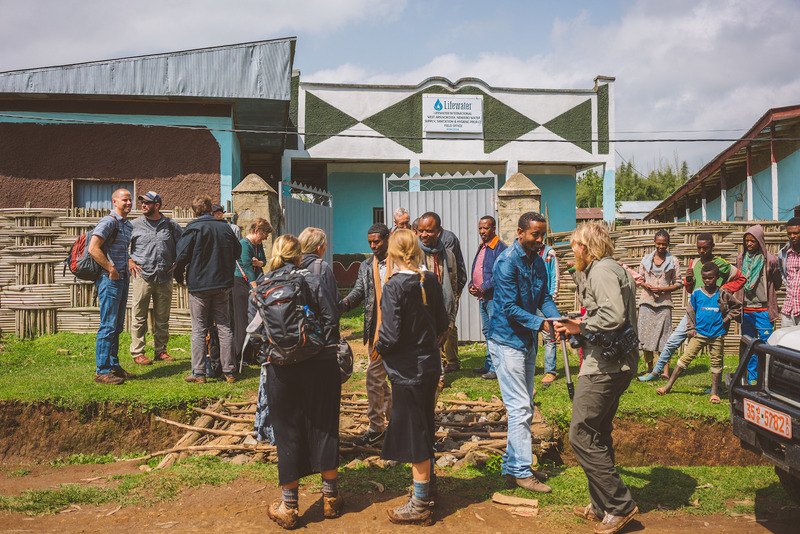 Volunteers meet Lifewater staff and community members in Ethiopia. Another way to be an intentional giver is to give your time and social influence. With all the organizations doing incredible, philanthropic work, volunteering and sharing your influence on social networks can go a long way in helping that nonprofit reach their giving goal. Giving, volunteering, and sharing your social influence are all ways to participate in social betterment. Not only will you learn more about who they are, but your intentionality will have a multiplying effect for those you’re serving. 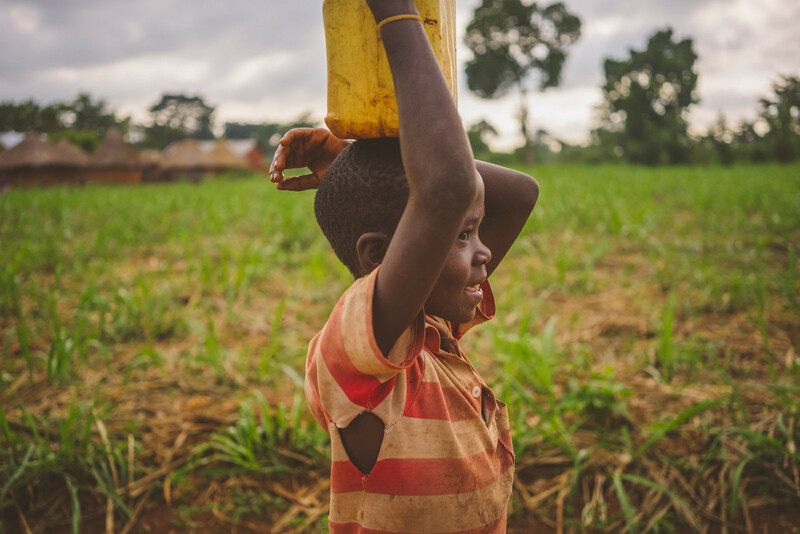 A child carries water to his home in rural Uganda. The “give and you shall receive” mentality is nothing new to philanthropists. Still, the phrase rings true. Author Randy Alcorn’s The Treasure Principle describes the liberating joy that comes with giving to something you believe in. His main point: Giving actually helps the giver. Deliberately and thoughtfully choosing to give to others has a way of altering a person’s worldview, removing them from the strains of daily life and realigning them with their core values. Physically, giving has been proven to reduce anxiety, create more satisfactory friendships, and improve sleep. Spiritually, it’s the best way to steward the money that God has given you; it’s an investment in Kingdom work. On November 1st, with the generous support of the 4k Foundation, Lifewater is launching an entirely new way to give. Equipped with real-time data, mapping technology, and real stories from the field, you’ll have insight into the impact of your gifts like never before. By nature, intentional giving will always require diligence and effort. But with the new lifewater.org, you’ll have tools and notifications to view progress (and setbacks) as they happen, helping you make wise choices and engage in giving with both head and heart.